79 Wood Brook Way in Fitchburg is a spacious end unit boasting vaulted, 2-story ceilings with large windows allowing in abundant natural light and stunning sunset views. Gas fireplace, maple hardwood floors, and screen porch overlooking the pond and McKee Park. Enjoy the natural setting, walkability, biking trails, comm. garden, and green space right in the heart of Fitchburg. Master suite upstairs with large master bath, jetted tub, walk-in closets. Lower level with family room and 2nd bedroom. 2-car garage. Furnace new in '11. 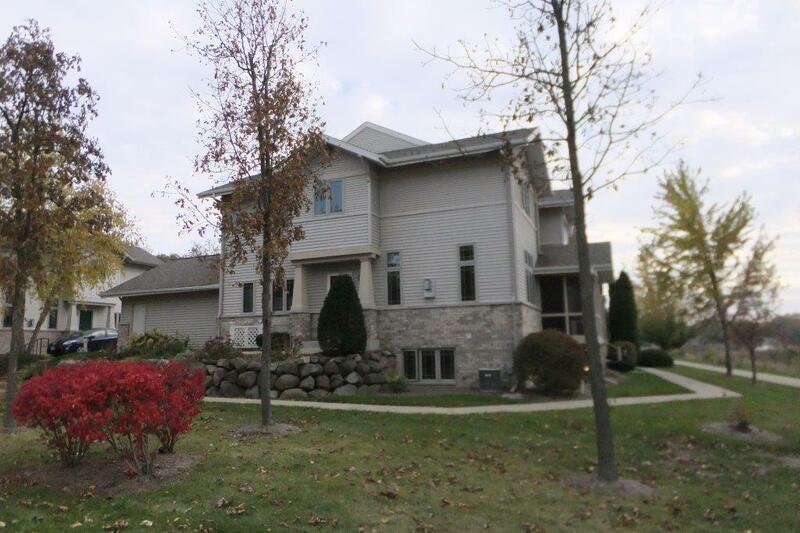 For current price and more information on 79 Wood Brook Way. Another large suburb, Fitchburg lies to the south of Madison. Although it has no large lakes within its borders, there are a couple smaller ones and several parks. It also includes a piece of the University of Wisconsin Arboretum, which is perfect for those who enjoy being outdoors and bird-watching. The area offers mostly affordable single-family homes and apartments, and there are several public and private schools to choose from. Fitchburg offers many recreational programs for children and adults, summer festivals, a nice public library, and some shopping and dining opportunities. A stone's throw from Madison, the area offers everything a great suburb should.